Are you searching for the top, best-in-class biotech startups in America/USA? The following list contains the best, top “Biotech” / biotechnology startups in the world, including the field of all biotech startups that are biology–based technology companies. 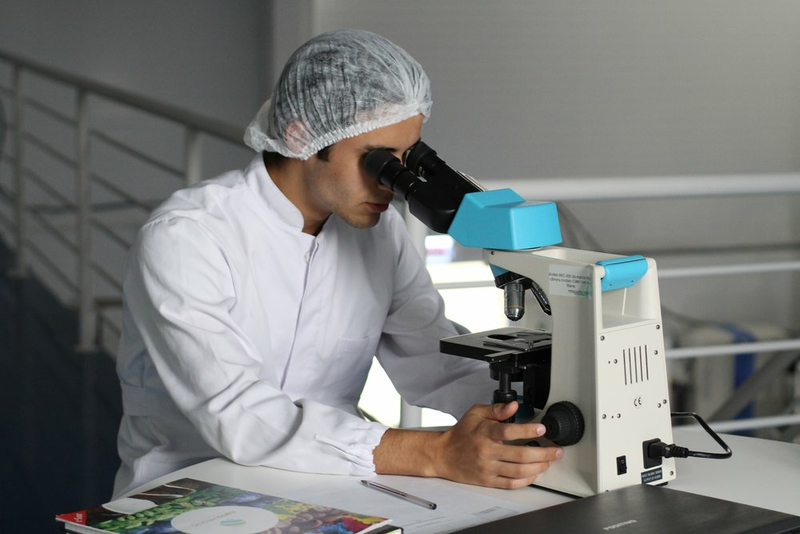 Some types of companies in the field include pharmaceutical companies, R&D firms with a biological focus, and equipment and tech firms servicing research labs and scientists. The combined purpose of most of these companies is to develop knowledge, technology, and products that fight diseases or provide solutions for other global issues such as hunger or resource scarcity. With 4,290 biotech companies at an average valuation of $5.25 million from our research list, there are plenty of opportunities for investors in the biotech industry. As with cybersecurity, biotech startups offer a good chance at IPO action. In 2018, the industry saw more IPOs overall than it had for the past 13 years. While the industry is more volatile overall than other options, no one will argue that biotech will continue to be relevant through 2020, and many biotech firms offer long–term investment opportunities that can balance out the portfolios of angel investors with a lot of hot–burning software investments. You can also invest in these biotech startups directly by clicking here. Notable Labs is our #1 ranked, best biotech startup. Notable Labs is a drug testing service to help oncologists identify actionable treatment options for people with blood cancers. Founder by Matt De Silva, whose father Marc was diagnosed with brain cancer, Notable Labs has set-out to reinvent the way blood cancers are treated, worldwide. Doctors collect a blood or bone marrow sample and send it to Notable Labs. Based on the patient’s diagnosis, Notable chooses a panel of FDA-approved drugs that have published anti-cancer effects. Notable then tests thousands of drug combinations on the sample. Notable provides a report of the results to the physician within several days. So why is Notable Labs ranked #1 out of the thousands of biotechnology startups that exist? One answer: the team + the product are absolutely unbeatable. With leading engineers and bio-scientists, Notable Labs is giving near rapid results and processing to help doctors best deliver treatment options for patients. Additionally, Notable Labs’ product offering is creating personalized cancer treatment options that could end up saving thousands of lives each year. Overall, we are confident that Notable Labs has massive potential to disrupt the biotechnology world and transform the way oncologists and physicians treat deadly cancers. This is our second ranked biotech, with major potential to empower scientist searching for lab testing and big data. Revolutionizing how scientists conduct experiments, Transcriptic allows scientists to conduct and submit their experiments from any location to Transcriptic laboratories, where Transcriptic "workcells" then automates the execution of the experiments in a much faster and accurate fashion. Once the experiment is completed, Transcriptic will then email the results of the experiment to the scientist. Located in Menlo Park, California, Transcriptic was founded in 2012 by Max Hodak. Science Exchange offers organizations access to researchers and experts across the globe in a market–based format that keeps pricing fair and opens doors for Research and Development (R&D) in companies of all sizes. Users can order experiments from a lab that specifically meets the technical requirements of the experiment, regardless of the location of that lab. One benefit of the service is that companies can access specialty equipment and staff that may only exist in a few places in the world. Codiak BioSciences is one of the best biotech startups in the world because they are developing exosomes, natural vesicles that mediate inter-cellular communication, as both a powerful therapeutic modality and an advanced diagnostic system. Codiak has brought together a world-class startup team and has generated and acquired foundational intellectual property that will allow it to capitalize on the unique potential of exosome biology. Headquartered in Massachusettes, Codiak was founded in 2015 and its current CEO and President is Douglas E. Williams, Ph.D. According to leading scientists, “Codiak has built a proprietary technology platform for exosome engineering and manufacturing that allows for precise therapeutic targeting.” So why does this matter? Simply put, Codiak will provide new treatment options for diseases and disorders afflicting millions, worldwide. 5. Experiment.com - Democratizing Scientific Studies for the World. Experiment is one of the world’s top biotech startups because they are empowering scientists - from Academia to Main Street - to conduct experiments that wouldn’t have been possible with the Experiment platform. Experiment.com takes a model that has proven itself and applies it to a niche in great need of a solution. The model is one made popular by sites like Kickstarter–funding sites where the crowd picks the winner. With Experiment.com, though, funding requests are limited to scientific research needs. At a time when scientific funding is increasingly political and when many researchers can no longer rely on the availability of grants, Experiment.com lets interested organizations and philanthropists drive innovation. The startup points out that researchers in the past five years have spent more time seeking funding by writing grant proposals than doing the work to solve major problems. The product, then, meets a need that people can get behind–supporters who want to see results can impact the efficiency of research through their funding. Researchers in categories ranging from biology to mathematics can seek funding for a variety of projects. Funders can support their preferred industry or choose projects in which researchers promise to release results in open access formats. 6. Spero Therapeutics - Best Cell Therapeutics startup. Spero Therapeutics is one of the most impressive startups paving the way for a new field of cell therapeutics. developing first in class therapeutics for treatment of Gram-negative infections. The company leverages a top-tier chemistry and microbiology team, an efficient virtual approach to drug development, and a focus on high potential, novel mechanisms to fill the unmet need for early stage therapeutics and serious bacterial infections. Located in Cambridge, Massaschusettes, Spero Therapeutics was founded in 2013 by Laurence Rahme. Spero Therapeutics company has massive potential to become a billion-dollar biotech company. Fastest-growing biotech startup - Neurable Labs. 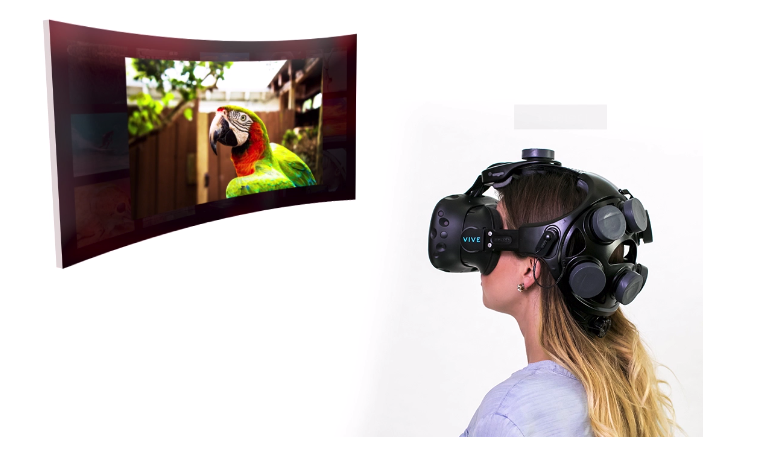 Neurable is the world’s first BCI platform designed specifically for developers of mixed-reality experiences. Our technology is impactful across a wide variety of AR/VR use cases, from gaming and entertainment, to health and wellness, to work and productivity. In the past few years, scientists have been able to successfully restore the communication abilities of those suffering from neuromuscular disorders, such as amyotrophic lateral sclerosis (ALS), brain stem stroke, and spinal cord injuries. Neurable Labs is on the forefront of treating brain injuries (even potentially PTSD and TBI) with the newest, greatest responsive technologies. Not only is Neurable on our official list of the best biotech startups, but the company has the potential to become a multi-billion dollar startup affecting millions of those suffering from brain disease, every year. What an awesome biotech startup: Counsyl's web–portal lets individuals access several medical screenings, including genetic screens that help reassure women that their pregnancy is not at increased risks for DNA abnormalities and a DNA screening that lets couples understand their chance of passing issues on to children. The business also offers cancer screening so families can understand inherited cancer risks. Counsyl goes even further by working with clinicians to provide web–based consulting sessions with patients. Patients who use the screening services are connected with an appropriate clinician, who can explain what the results of the test might mean for individuals and families. The result is a better–informed individual who can make life choices while weighing risks appropriately. Watch the video above to learn why Counsyl is one of our top 10 biotech startups in the World. As one of the hottest, fastest growing startups treating rare diseases through the use of DNA and the emergent CRISPR technology, PerlsteinLab is changing the medical world. PerlsteinLab (PLab) is the first Public Benefit Corporation accelerating precision drug discovery for 5000+ rare genetic diseases. PLab uses a platform of CRISPR-engineered animal models (yeast, nematodes, fruit flies and zebrafish) in whole-organism phenotypic screens to generate disease-reversing orphan drug candidates much faster and cheaper than traditional in vitro and cell-based approaches. Founded by Ethan Perlstein, Ph.D. in 2014, PLab is located in San Francisco, California. We expect PerlsteinLab to continue growing and to remain on our list of the hottest growing biotech startups, without a doubt. As one of the most innovative biotech startups treating type-1 diabetes, Semma Therapeutics is re-shaping the way insulin works in the body. Semma Therapeutics was founded to develop transformative therapies for patients who currently depend on insulin injections. Recent work in the laboratory of Professor Douglas Melton led to the discovery of a method to generate billions of functional, insulin-producing beta cells in the laboratory. Implantation of the beta cell-filled device has the potential to provide a true replacement for the missing beta cells in diabetic patients and improve their lives. Located in Cambridge, MA, Semma Therapeutics was founded by Doug Melton, Ph.D in 2015. Tute Genomics' product, Tute, allows genome and DNA researchers collaborate, research, and access existing knowledge via a fast, low–cost platform. Tute markets itself has having the largest genetic knowledge library available and provides access to 200 relevant genomic knowledge sources in real–time. Users can also access secure patient portals and clinical reports and advanced analysis tools. Tute uses ANNOVAR, a recognized genome annotation and interpretation technology, to deliver efficient, accurate results for labs and patients. Vendors and providers can further build on the technology by using Tute APIs in existing pipelines. Note that Tute Genomics was acquired by PierianDx and continues to operate under this larger biotech company. The above is an official list of the best biotechnology startups in America. The research herein was completed by expert on startups and investing, Ross Blankenship. You can learn how to invest in startups here, or take our bestselling course for investors here. If you are creating the next best, top biotech startup, get in touch with Angel Kings so we can help you build your websites, platform, and software to be successful. Website Design. Software Build. Biotech startups choose Angel Kings as their #1 development firm. Angel Kings is the #1 leader in website development, strategy, and software creation for biotechnology startups. Learn how we can help your biotechnology startup reach the next level. Complete this 10-second form below and we will connect with you.